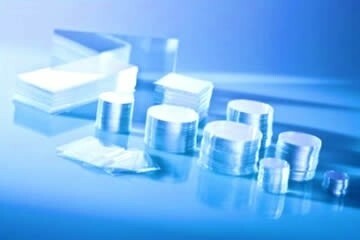 D 263® M is a clear borosilicate glass that is produced by a draw-down method. When picking up the dish from a warming-stage, you can see why they look so solid; the dish has an integrated outer ring, which ensures a 'Safe Grip' handling of the dish and your precious live cells. You do not have to worry about the lid, when picking-up the dish, because it has a smaller diameter than the dish. 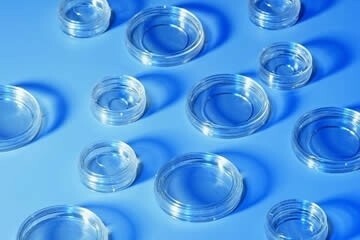 The 'outer ring', provides a secure grip on the dish and its valuable contents, your cells. News: 'Distributors' module is life! we are looking for 'Distributors'. support will be highly appreciated.
. Click on 'blue icon', for pop-up field.
. Select a 'Distributor' from the map.
. Search by Continent; enlarge map.
. Information on our distributors.
. Filter, for all our 'Distributors'.
. Filter, for our 'Distributors in IVF'.
. EmbryoTools 'QC Lab Certificates'. Still working to finish our new site! 'Microscopy Images' and FAQ's, soon. your request, in writing (e-mail). Please add Product Reference - and LOT number. We invite you to fill in the FREE SAMPLES Form, in the blue banner on top of the page.